Stop asking me to respect the flag and respect the military and respect police when it seems no one seems to have much respect for us. Today I saw a guy that was blowing things up in New York and that shot at two police officers walk away with his life. In the same day I saw a guy who’s car simply broke down shot dead in the street like a wounded dog. Wait, we don’t shoot dogs. Shot dead like a black man. I’m not a rapper, I’m not a thug, I’m not a politician. I don’t have anything noble to say and I don’t have anything ignorant to say. I’m just a man that is tired of feeling like I have to justify why my life matters? A cop shoots a man with his hands up and the narrative is, “Black guys kill black guys all the time; you aren’t whining about that.” I do talk about that and I also hold men and women that talk oaths to serve and protect us to higher standards. I’m 33 years old. I have never been in a set of handcuffs in my life. I don’t disrespect police when I’m pulled over. I don’t believe that all cops are bad. I don’t hate America or those that protect her. But I do hate that I and those that look like me will never have the same protections as others. Last week Sandra Bland’s family got paid 1.9 million dollars for her life. She’ll never laugh at Thanksgiving or take her children to orientation at college but 1.9 million should calm the natives. Today I watched a man with his vehicle stalled and his hands up get shot down, how much is his life going to be worth? A part of me wanted to google dates of mass shootings and tell the story of where I was when each one happened but if I’m being honest I’ve become desensitized like most Americans. I see the news, I imagine the horror but it no longer shocks me. That is until this weekend. That is until I was on Instagram last night and I saw that one of the people killed just graduated high school. I started to think about my little sisters and cousins that are around that age, that probably go to clubs and parties and I just take for granted that they’ll come home safely. The same way those victims’ families thought they would make it home safely. Today I was sitting in my bedroom and I looked over at a .32 Smith and Westin I keep on my nightstand. It’s a simple gun, six shoots, it never jams. I keep it on the nightstand at night just in case some criminal and group of ninjas kick down my door and I’m forced to defend myself. It’s been on that nightstand since I moved into this house and I’ve never shot it. Not at the gun range, not in my backyard on New Year’s Eve, not at a person. As I’m watching the news yesterday and I’m hearing about all the murders and all the violence, it hit me. I don’t know anyone that’s been murdered by a gun. .I’ve never had a family member shot. I’ve never been car jacked or shot. I’m more likely to die in a car crash because I’m texting than I am in a mass shooting. Today I sold my guns because they’re more likely to be used by my future children to kill each other than they are to be used by me to kill an intruder. Today I sold my guns because I don’t go hunting, because I’m not going to be sitting in a restaurant and a man comes in shooting and I decide to be Rambo. Today I sold my guns because I’m tired of hearing about these mass shootings and just talking and writing. I’m tired of letting the media make me believe that at any moment I’m going to get 11 bullets put in my body when it rarely happens. Today I sold my guns because I’m not a gangster, because I don’t want another mans’ blood on my hands. Today I sold my guns because I feel safer with them outside of the house than I do with them inside of the house. I thought if we just ignored Trump he would go away. Sort of like a summer cold. I don’t need to take any medicine because I’ll be okay in a day or two, it’s summer. Well my friends, it’s not summer anymore and we still have that cold. I thought writing about him, tweeting about him, Facebooking about him; those things would just give him more attention. He lives off attention. However, it’s almost a year later and he’s the Republican nominee for President. I think it’s time to stop ignoring him. How do you destroy arguably the greatest Republic the world has ever known? You don’t have a once in a lifetime flood that puts the country under water. You don’t have a volcano that erupts and covers the country in lava. You don’t even have nuclear war that takes out millions of people and brings down skyscrapers and schools. You destroy a country with a 4 step process. Racism, money and arrogance. The number of hate groups in this country has grown by over 500% since the moment President Obama took office. We as a country ignored that racism still existed, of course we’d made progress since water hoses, dogs and separate water fountains but the culture and mentality never went away. The more popular President Obama became, the more resentment and hate started to build. So much so that by his second term you had United States Congressman and Senators openly saying they would veto everything and not work with him. There are certain counties in this country that have threatened to leave America because President Obama is our President. These people needed a voice. They needed someone that would feed into their hate and that voice became Donald Trump. Americans like wealth. We like the idea of someone building something and working for themselves. In Donald Trump a lot of Americans see a guy that came from nothing to something and is going to “Make America Great Again” by creating jobs. The problem with this logic is Donald Trump borrowed money from his father to start his first business. He had connections and was able to go bankrupt and just start over. But we live in a world of “Do as I say and not as I do.” So already tired of the Republicans they couldn’t relate to, they chose a man whose money they could relate to. The Republican party thought they could play with fire and not get burnt. They thought they could walk the line of racism, sexism, inequality and there be no repercussions. They created a monster in the tea party and now they can’t control that monster. You have Senators and Congressman that are qualified to run this country and they can’t even get 2% of votes because the public sees them as empty suits. The sad thing is had they worked with President Obama and given him and his policies a chance. Trump would still be hosting TV shows instead of being 4 months away from the most important job on this earth. There is a very simple and scary way Donald Trump can become President of the United States of America. Most Americans don’t vote. Hilary Clinton and Bernie Sanders both have supporters that will not vote for the other. So what happens if people that hate President Obama and simply vote Republican have a bigger turnout than those that don’t? I know people right now that think, “There’s no way Trump can win,” so I’m not voting. Have that mindset and America won’t be great again but will be at war again and again and again. Yesterday was the last day of early voting for the run-off elections in the city of Houston and Saturday is the actual elections. As someone that loves politics and the effort and selflessness a lot of these men and women put into their campaigns and offices I have to be honest and say; I have not been very impressed as of late by any politician. Where are the politicians that inspire? That are willing to take a stand when it’s not popular. That are willing to offend people that need to be offended. Too much history went into getting me the right to vote for me to just give my vote away. It’s easy to talk about police brutality when something happens that makes news but why don’t I ever hear a politician blame the officers that sit back and do nothing while they know some of the men and women they serve with are bad apples? When President Obama ran for President, I remember walking door to door trying to register people to vote knowing Texas was a red state. I didn’t care though, wearing that t-shirt, feeling proud to be a part of something new and encouraging. It changed me. Seven years later, where are the new generation of politicians that are going to have 18-28 year olds not going to happy hour but walking door to door? I don’t care if you have money behind you or went to an amazing school. I don’t care if you have experience in politics or who your father was. What I care about is your love for the people and your passion for making our City, State and Nation better. I’m seeing too many people that are simply saying things because they sound good. People that have the nerve to ask me for my vote when they won’t make a statement about anything of relevance. Donald Trump is leading the Republican candidates for President not because he’s the best option, it’s because he’s the only option that’s getting people inspired. As racist and ignorant as his comments are at times, they are views that are shared by a lot of people and that is something we have to pay attention to. Where is the Democrat that’s inspiring these sorts of passions? Is it Hilary Clinton? The same Hilary Clinton that wouldn’t stand alongside President Obama and quit on his administration so she run for office? Is it Bernie Sanders? A man that’s been around for a long time and has good ideas but no one knows or cares about? In a country as big as ours, where are the options that will change the world? Has America Become Too Politically Correct or Is It Growth? It’s easy to forget just how many opportunities there are in this country if you’re willing to work for them. It would be incredibly short sided of anyone to say that sexism, racism, religious persecution and other forms of discrimination still don’t exist but I could also rationalize that we have let fanatics change the narrative of what should be the story. I’m not offended by the Confederate Flag but I very much understand why it has to be removed. Though I would point out that it’s only being removed in the wake of a horrible domestic terrorism incident. That’s political correctness, or at least how it should be used. Taking a horrible moment in American History and using it to effect real change politically. There are other forms of political correctness that I do believe are doing more harm than good. The first being our extreme takes on food. It’s crazy that we can get a burger and fries for 2.99 but a side salad cost 7 dollars. It’s unphantonable that we can buy chips two for a dollar when a granola bar cost 3 dollars. Saying all that I still think it’s crazy that certain groups are lobbying for no sodas, chips, candy or anything fattening on menus are in schools. Life has to be about moderation and sensibility; you can’t have those two traits when it comes to political correctness. It brings out the extremes in people. Here’s another example. When a white cop kills a black kid people often bring up, “What about black on black crime?” Now forget their motives for a second, they have a point. We aren’t as outraged when a black man kills another black man and I often here the excuse, “Why bring it up now?” Are Americans not capable of having two or three conversations at the same time? It’s okay to be pissed off and angry about multiple things. Political correctness isn’t ruining our country but what it’s doing is highlighting the hypocracy of our country. So many people in our country are intimidated by President Obama because he’s not like the black men they know in their little towns or cities. That scares them because it goes against everything they’ve been taught their entire lives. That makes me smile. The politically correct thing to say is that it doesn’t matter that my President is a black man because he got the job based off of character, experience, education and a plan. Race and skin tone have nothing to do with it. That’s the politically correct thing to say. I don’t feel like being politically correct tonight. My Godson and Goddaughter will have lived their entire lives with a black man as President, that matters to me. That makes me smile. That means when I tell them they can be anything they want in life, I’m not lying. There’s not one minority Senator in the south anymore. On the steps of the Texas Senate you had armed men with assault rifles openly threatening the President. 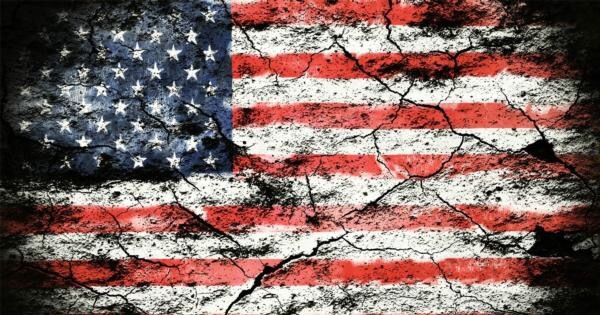 Right now our country is more divided then it’s ever been and that’s because of one thing and one thing only. So many people can’t wrap their head around having a black man as President. They couldn’t six years ago, they couldn’t four years ago and they can’t now. So what…..
We’re here, we aren’t going anywhere. You can assassinate our leaders, put our fathers and uncles and cousins in prison for crimes that other men commit and get probation for. You can deny us jobs and make us build our own companies and make our own way but we are here! I will not walk with my head down throughout the day to make you feel more comfortable. I won’t bite my tongue or smile when you make a bad joke about my President, your President! I won’t be happy to have a job when I know I’m qualified to run the company! My President is black and that matters to me. Great speech and when he’s finished with his two terms, look out for our First Lady because she’s going to be the next governor of Illinois and no telling what else!